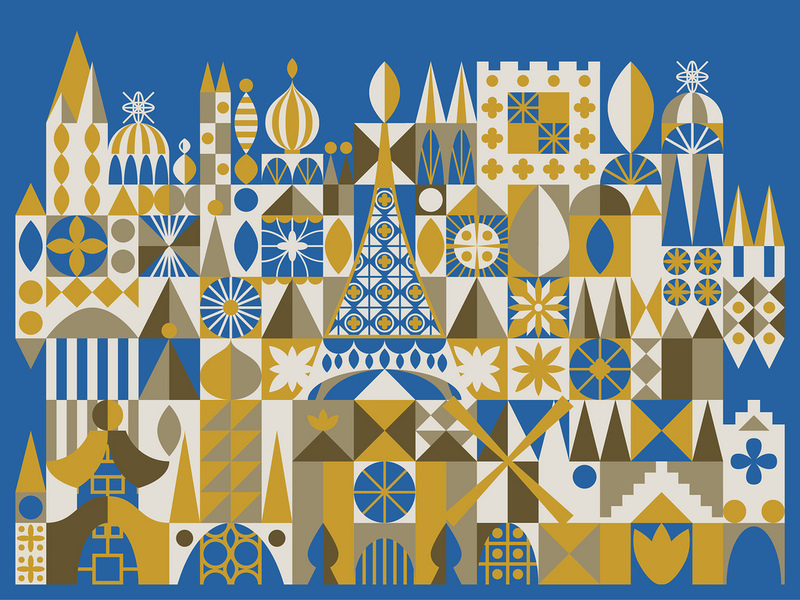 This post is in honor of the 50th anniversary of the world famous “It’s a Small World” attraction which opened in Disneyland on May 28, 1966. It’s a Small World is considered a classic Disney dark ride which means that it is an amusement park ride contained inside a building. The whimsical attraction features hundreds of animatronic children dressed in their national costumes and singing a memorable song in their native languages. So, in this post I will discuss the history of the “It’s a Small World” attraction including the construction of the ride and the many refurbishments throughout the years and finally I will end with some fun and interesting trivia about the ride. The It’s A Small World attraction was originally created for the UNICEF pavilion sponsored by Pepsi at the 1964 New York World’s Fair. The basic concept of the ride was intended to promote peace and unity as interpreted by the children of the world. 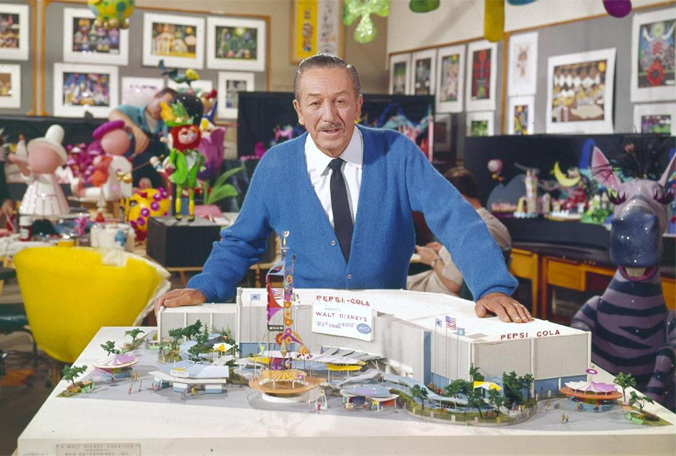 The basic design was created by WED, a division of the Walt Disney Studios in Burbank. 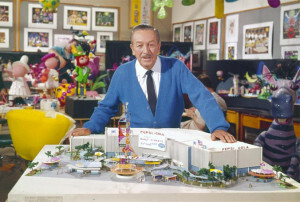 The attraction was actually one of five created WED for the Fair; the other four attractions were the Skyway ride sponsored for the Ford Motor Company, Great Moments with Mr. Lincoln built for the Illinois pavilion, the Carousel of Progress sponsored by General Electric, and CircleVision sponsored by Kodak. 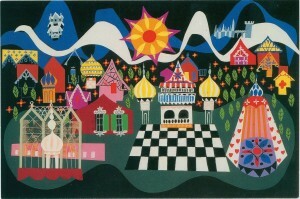 After the It’s a Small World attraction moved to Disneyland and the newly refurbished ride re-opened on May 28, 1966 in the Fantasyland section of the park. The opening ceremony featured a gathering of children representing countries from around the globe. In preparations for the grand opening ceremony, Disney representatives gathered the waters from the oceans and seas around the world. 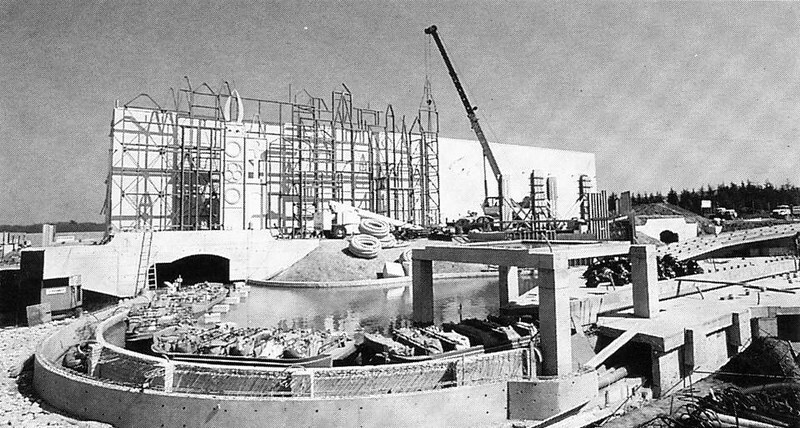 Then, during the ceremony the waters were symbolically poured into the ride’s canal creating a grand version of the “waters of the world” flowing through the attraction. It was a great public relations idea orchestrated by Jack Lindquist who at the time was the advertising manager of Disneyland. 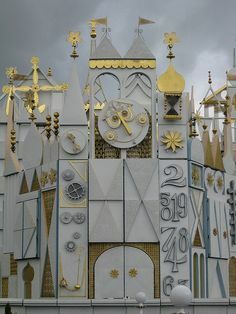 In the center of the It’s a Small World attraction façade, Disney had requested a special 30 foot high timepiece which would work like a giant cuckoo clock. 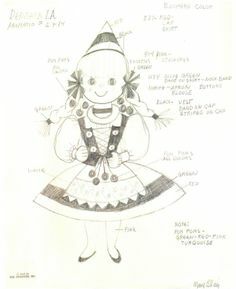 To mark each quarter hour, the side doors would swing open and a parade of wooden dolls dressed in their national costumes would move past the base of the clock. 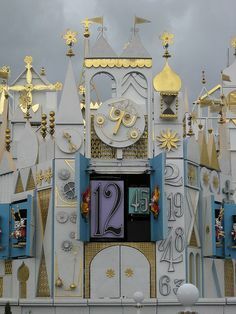 Then, as the last doll proceeded back into the door on the other side, the large central doors below the swinging face would open to display the time and bells would ring to count the hours and quarter hours. 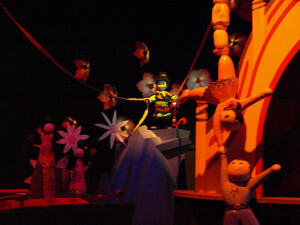 The Finale Room features all the children of the world now dressed in all white versions of their native costumes and singing the ride’s theme song in English. 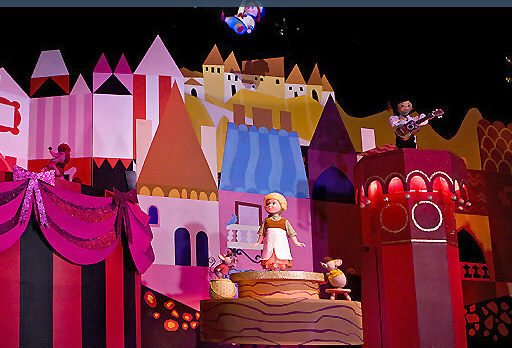 Throughout the years, numerous minor adjustments and a few major changes have been made to the It’s a Small world ride. 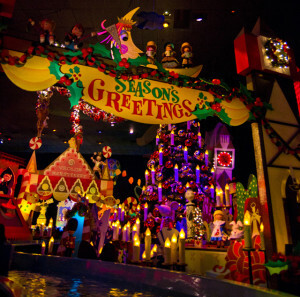 In 1997, Disneyland decided for the Christmas season to create the It’s a Small World Holiday version of the ride with an elaborate overlay and the iconic theme song was replaced with holiday songs. 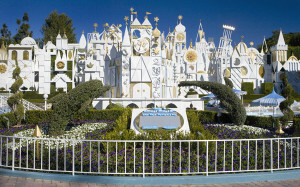 It proved to be so popular with the park guests that every year since then the attraction is closed in late October to assemble the temporary holiday overlay and it reopens in early November just before the start of one of the busiest times in the park, which is the weeks between Thanksgiving and New Year’s Day. 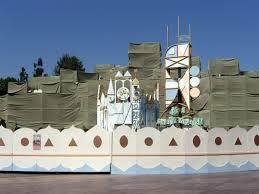 The attraction is closed again in January for a few weeks to remove the holiday overlay. 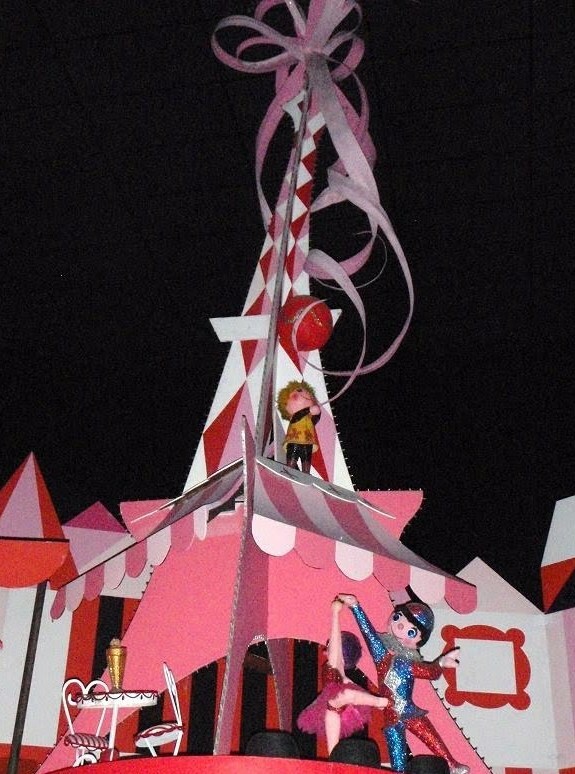 In 2008, the It’s a Small World attraction was closed for a 10 month period for major refurbishment. 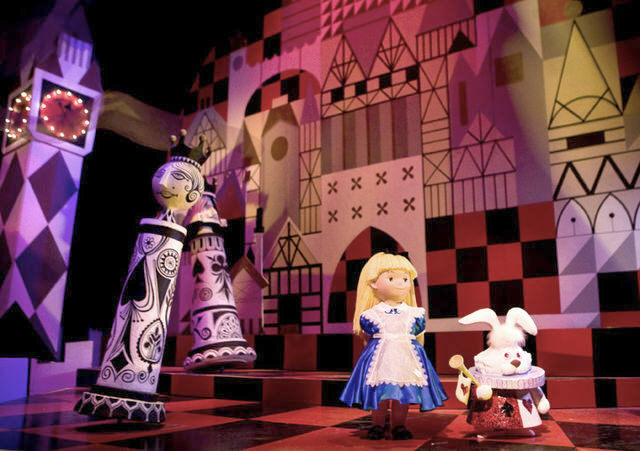 This was a long time for a popular Disneyland attraction to be closed but the ride was in desperate need over some major changes. 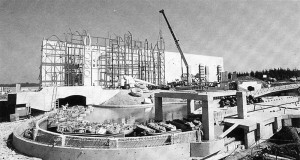 The original ride system from the 1964 World Fair was now over 40 years old and despite occasional repairs it was time to upgrade the water canal and boats. 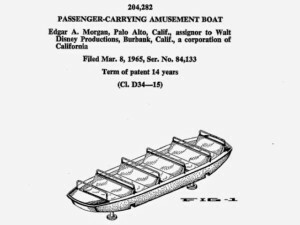 The outdated fiberglass boats were replaced with redesigned boats made of durable plastic which was lighter and more buoyant. 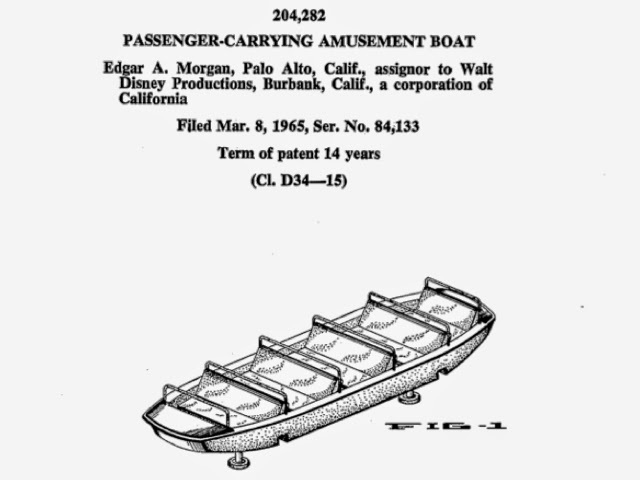 The water propulsion system that guided the boats through the ride was replaced by a more modern electric water jet turbines developed for a more efficient and smoother ride. 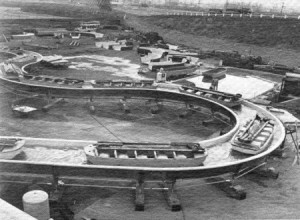 Prior to the refurbishment the boats would often “bottom out” in the water canal causing the boat to stop. 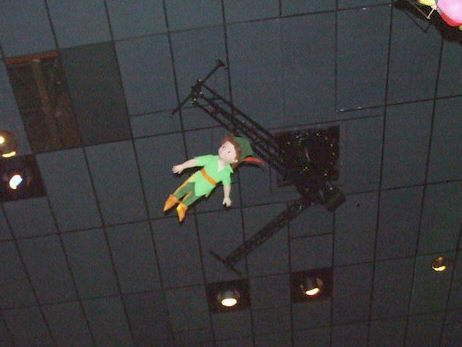 This happened because at the time the ride was originally built the estimated combined weight of the guests was calculated lower than the current weight of a heavier generation of guests! 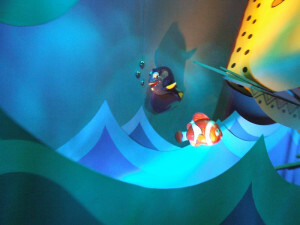 So, during the refurbishment the water canal was built deeper to accommodate the increasing weight of the guests! As part of the major refurbishment, all the dolls were removed from the ride to be repaired and repainted, the dolls costumes were cleaned, damages were repaired or new copies of the costumes were made. 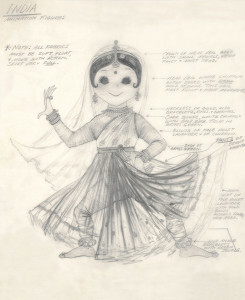 Also at this time a very controversial decision was made to incorporate additional doll characters into the attraction. 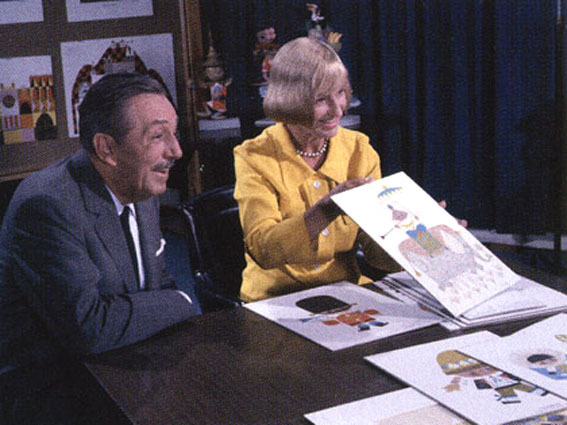 In the past, Disneyland had successfully added Disney movie characters into other attractions without too much public outcry. 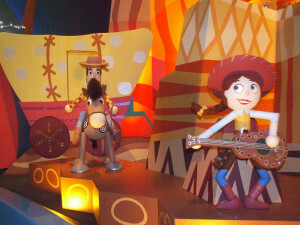 In 2006 the Captain Jack Sparrow, Barbossa and Davy Jones characters from the popular Disney “Pirates of the Caribbean” movie series were added to the Pirates of the Caribbean ride in Disneyland. Then, in 2007 the classic Submarine Voyage ride in Tomorrowland which had been closed for almost ten years re-opened as the Finding Nemo Submarine Voyage featuring characters from the popular Disney-Pixar film, “Finding Nemo”. 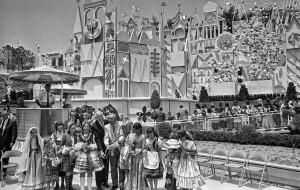 But for some reason the public were having a hard time adjusting to the fact that It’s a Small World, one of the most beloved attractions in Disneyland, would be changed. In the England section of the Alice and the White Rabbit from the classic animated film “Alice in Wonderland” were added, shown below in the photo on the left. Peter Pan and Tinkerbell from another Disney animated film “Peter Pan” can also be seen flying above the England section near the Tower of London, shown in the photo on the right. In the France section of the ride are Cinderella with the friendly mice Jaq and Gus from the classic Disney film “Cinderella” were added, shown below in the photo on the left. 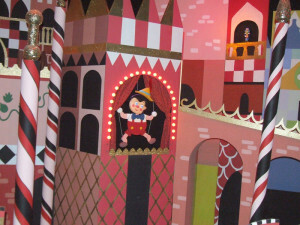 Pinocchio and Jiminy Cricket from the animated film “Pinocchio” were added to the Italy section of the ride, shown in the photo on the right. In the China section of the ride guests will see Mulan and Mushu form the Disney animated film “Mulan”, shown below in the photo on the left. 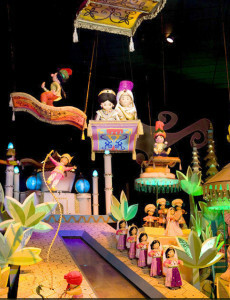 In the section of the ride depicting the Middle East, the characters of Aladdin, Jasmine and Abu from the animated film “Aladdin” can be seen overhead flying on a magic carpet, shown in the photo on the right. 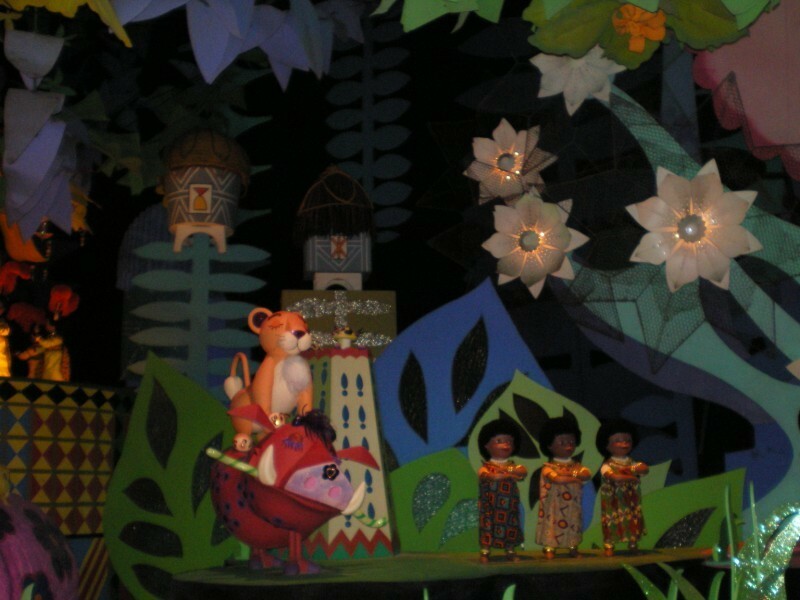 In the Africa section, the characters Simba, Pumba and Timon from the “Lion King” movies were added, shown below in the photo on the left. In the South America section guests will see the characters Donald Duck, Jose Carioca and Panchito Pistoles from the Disney animated short “The Three Caballeros, shown in the photo on the right. In the South Seas section of the ride guests will see the character Ariel and Flounder from the “Little Mermaid”, the characters of Lilo with Stitch from Disney animated film “Lilo and Stich” riding on a surfboard and also added are the characters of Nemo and Dory from the very popular “Finding Nemo” movie. Finally, some of the last characters to be added to the It’s a Small World ride are in the North America section and they are Woody, Jessie and Bullseye from the “Toy Story 1 & 2” movies. 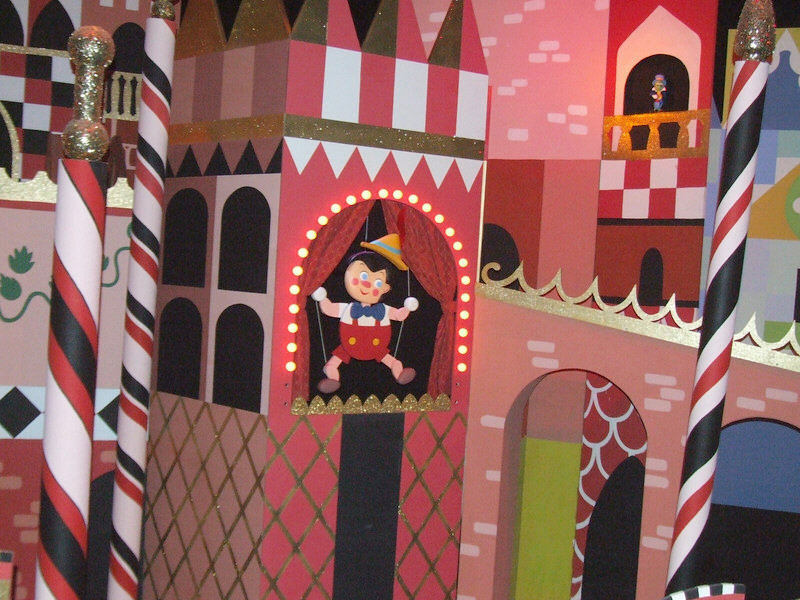 The It’s a Small World attraction at Disneyland proved to be so popular with the park guests that as the other Disney Parks were opened around the world other versions based on the original ride were built with slight variations: the Magic Kingdom at Walt Disney World in Florida in 1971, Tokyo Disneyland in 1983, Disneyland Paris in 1992 and Hong Kong Disneyland in 2008. 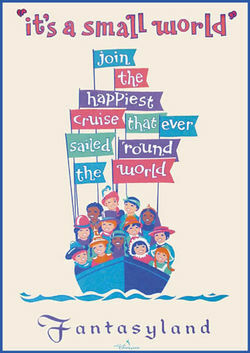 During the development process for the original World’s Fair attraction was tentatively named the “Children of the World” ride. 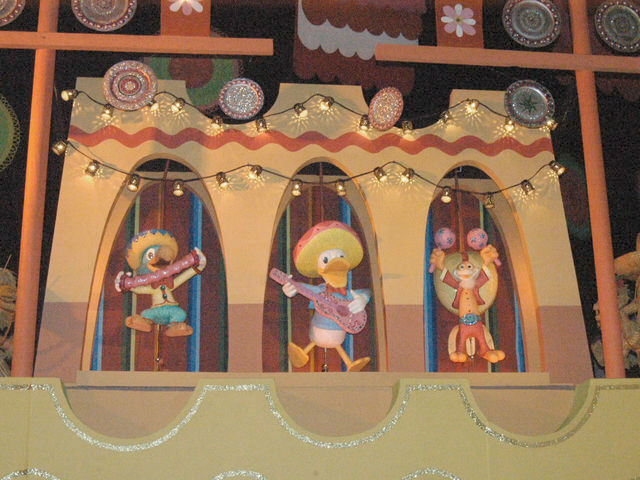 In the first version of the ride the dolls would sing the national anthems of the various countries, but this sounded too chaotic. 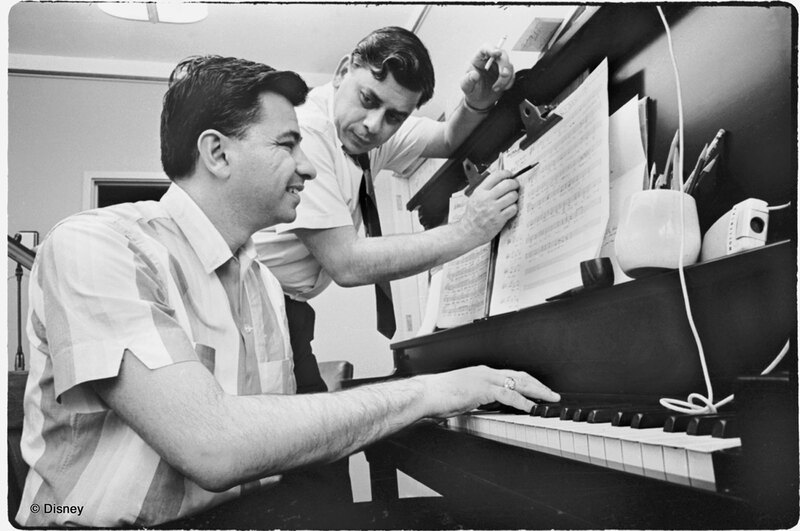 So, Walt Disney brought in the staff song writers Richard and Robert Sherman to compose a song for the ride. 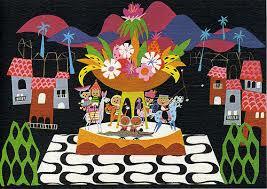 Disney liked the catchy “It’s a Small World” song so much that he changed the name of the ride to It’s a Small World. 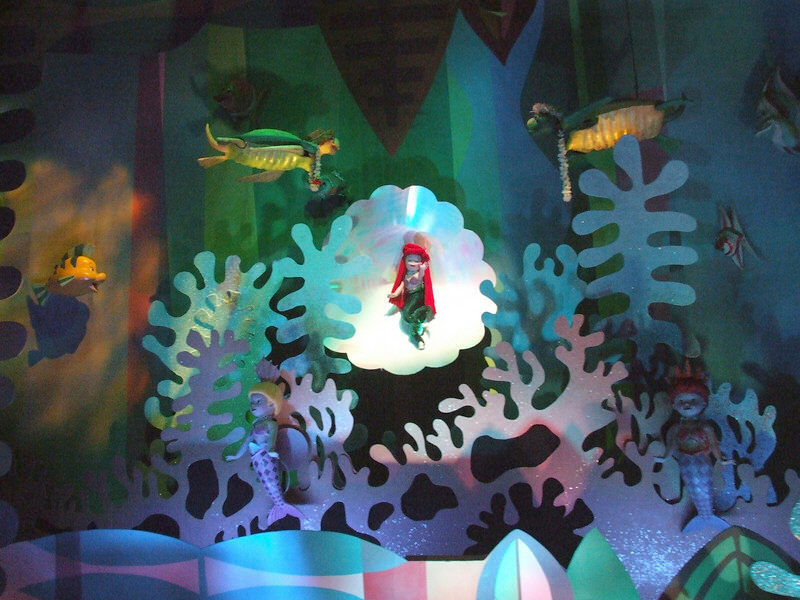 The “It’s a Small World” song was performed and recorded with the various native instruments from around the world, as an example in the Scotland scene bagpipes can be heard and in the South Seas scene Tahitian drums are played. 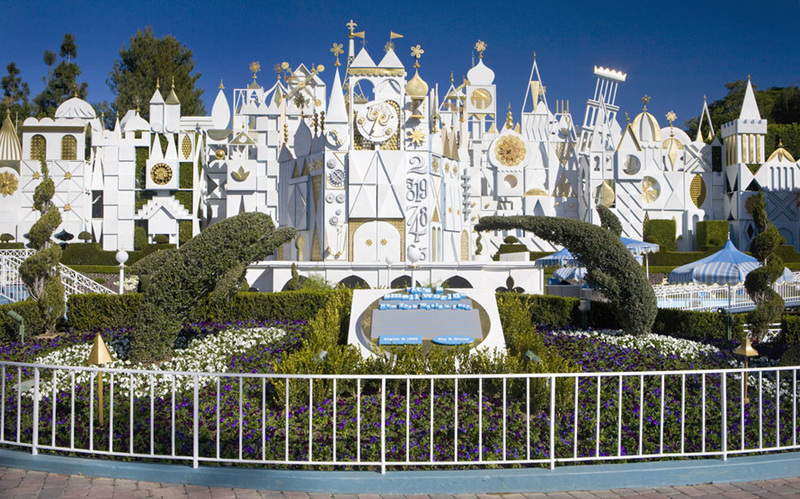 During the hours of an average day at the park the iconic “It’s a Small World” song is played approximately 1,200 times. 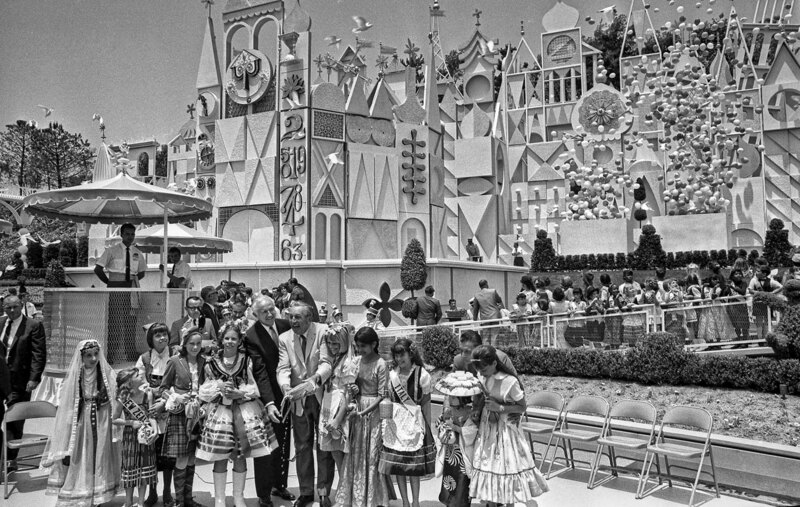 When the It’s a Small World ride moved from the 1964-65 New York World’s Fair to Disneyland, each section of the ride was disassembled and shipped to the park. Today, some of the shipping stickers dating back to 1965 can still be found on the back of some of the ride’s set pieces. 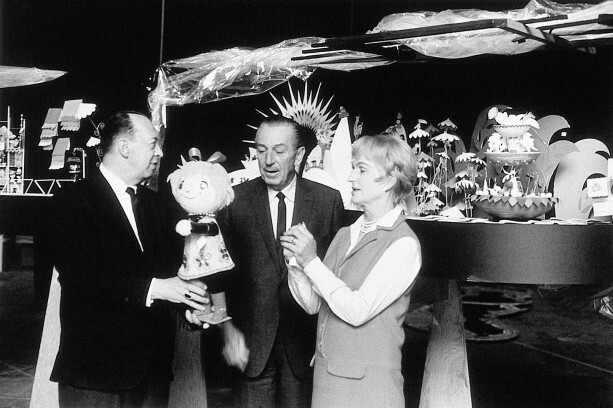 In the Disneyland version of the It’s a Small World attraction in the France section there is a special Mary Blair doll to honor the Disney Imagineer who designed the original ride for the World’s Fair. A little blonde haired doll wearing glasses can be seen flying from a balloon near the Eiffel Tower. 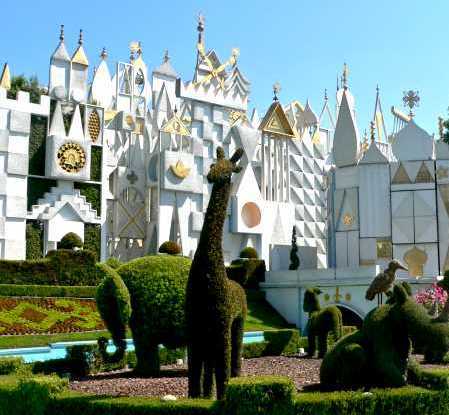 The whimsical animal topiaries located outside of It’s a Small World are created and maintained by the Disneyland Horticulture Department, it takes approximately five year of growing and trimming before the topiaries are ready to be put on display.